Most of the time I spent on the browser. 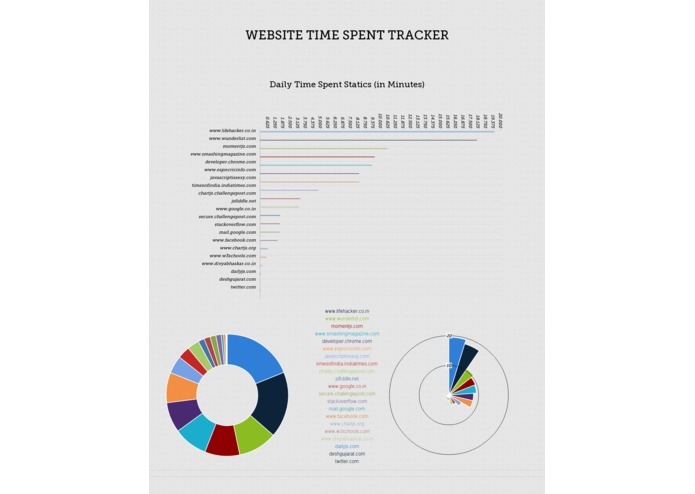 so, for me Its very important how much time I am spending on different websites. To Track this, I have created one chrome extension based on HTML5 Visibility API and also published extension to chrome webstore. So, anyone can able to use it. And to generate daily statics, I am using Chart.js Library.